It’s summertime and life is, (or should be) a garden in bloom! Spend time this month to keep on feeding fast-growing plants and lawns, and adding lots of summer colour to your garden beds. Make it a priority to pretty up your entertainment area or patio with containers filled with beautiful specimens and flowering plants. Marigolds are surely the most cheerful and easy to grow summer annuals. They love heat and full sun and do not require a lot of water. Fertilise them monthly to induce a mass of blooms. 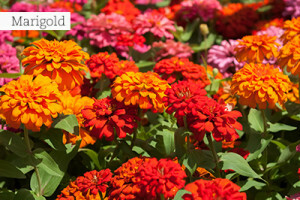 There are different varieties of Marigolds and these are available in bright orange, yellow and red blooms. 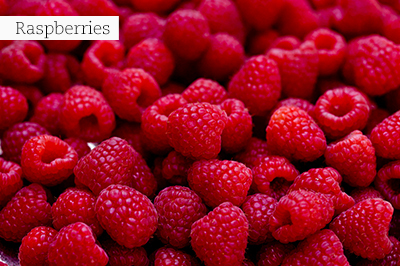 Visit your local garden centre to pick and choose the ones you love the most! Use dwarf French Marigold varieties as companion plants in herb and veggie gardens to add colour to the foliage and to fend off bugs. Other annual seedlings to add to your ‘colouring in’ checklist are New Guinea Impatiens, Busy Lizzie Impatiens and Begonias for shade, and Sunpatiens, Vincas, Dianthus, Petunias, Salvias, Zinnias, Gazanias, Gypsophila, Alyssum, Celosia, Calibrachoa, Verbena and Portulaca for sun. Plant more of the all-time favourites like Lavenders, Cupheas, Gauras, Angelonias, Agapanthus and Alstroemerias (Inca lilies) – especially the dwarf and extremely prolific hybrids of the latter, which are perfect for container-growing too. Dahlia tubers should go to ground now, for late-summer and autumn display. Quick sowings include the always popular summer flowers like Cosmos, Zinnias, and Sunflowers which are sown directly into the garden. All pumpkin types are sown in November, but you can also sow seeds of French beans, climbing beans, mealies, sweetcorn, cucumbers, and melons in situ. Plant seedlings of sweet peppers, chillies and tomatoes and remember to do follow-up planting of favourite cooking herbs such as sweet basil, coriander and parsley. Keep leafy veggies like salad and spinach healthy with frequent feeding and watering to strengthen them against pests. Use lots of companion plants such as rosemary and chives in the veggie garden as they can help to repel pests. 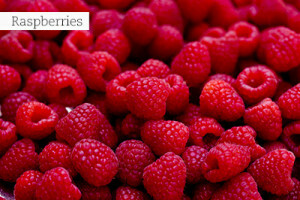 Fruiting plants like blueberries, gooseberries and raspberries will be readily available. Plant them in containers or in the veggie garden, feed with a slow release fertiliser and water regularly. Pamper your lawn by feeding it with lawn fertiliser and water well before and afterwards. 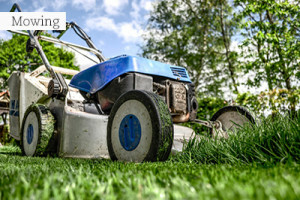 Maintenance includes regular mowing, taking care not to remove too much of the leaf blades. Continue to use selective herbicides to treat persistent patches of broad-leaf weeds if necessary. 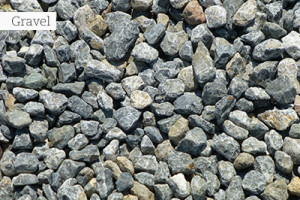 If your gravel garden looks a bit worse for wear, top up the gravel with a fresh load of stone after you have weeded the area first. Use different grades of stone, as well as smooth pebbles to create interesting floor patterns with different textures and in different designs, such as spirals. Elegant containers are not only strong design features or focal elements in any garden, but also give those with very limited planting space a chance to garden in over-drive. Remember, the road to success relies on a top quality soil medium for plants to grow in. Do not dig it up from the yard to save a few bucks! Rather use commercial potting soil which is free of weeds and soil pathogens. So, if you are going for some container gardening, stock up on bags of potting medium, drainage chip, decorative mulches and water soluble fertiliser to keep your plants in top shape afterwards. Plant annuals with red flowers to vamp up your garden for before the holiday hordes arrive. 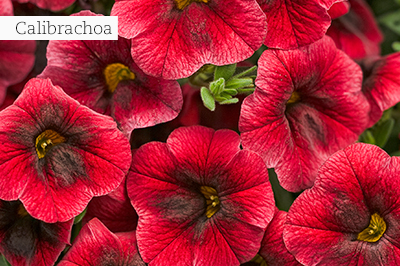 Use red-flowering cascading petunias and calibrachoas for pots and window boxes, and firey cockcombs (Celosia) for beds and borders. Do not forget about Verbenas either. They are tough, do not require a lot of water and provide cascades of colour in summer. Keep newly planted summer bulbs moist. Start a feeding programme once they have sprouted foliage. Support tall growing perennials, so that they don’t collapse in the wind and feed your garden at least once a month. Visit your nursery for all the latest varieties of agapanthus to add to your collection. It is also a great a time to plant scented Star Jasmine, flowering Hibiscus, Carnations, Aquilegias, Rudbeckias, Dahlias, Gaura, Grevilleas, Echinaceas, Gardenias and Bougainvilleas. Semi-shade and acid loving Hydrangeas, Gardenias, Fuchsias and Plectranthus should be at their best now. 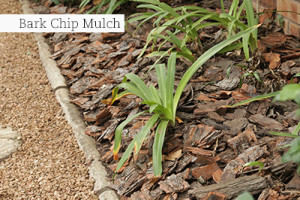 If not, feed the plants with an acidic foliar feed and mulch around the base with bark chips. 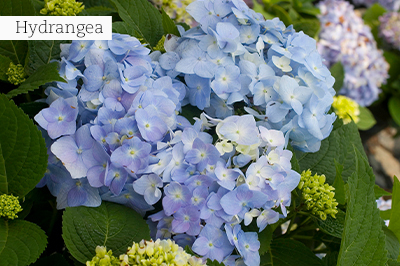 Remember to check out the garden centres for new Hydrangeas which should be in flower or bud now – the best time to choose the colours you want! Looking for a shrub with bright foliage? Choose Duranta ‘Sheena’s Gold’. 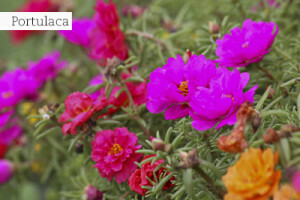 Use it as a bright contrast plant in mixed shrubbery, as a formal hedge, or pruned into topiary shapes in containers. Plant out new basil plants to get a crop going and also sow seeds of it too, to ensure an abundance of fresh and aromatic leaves. 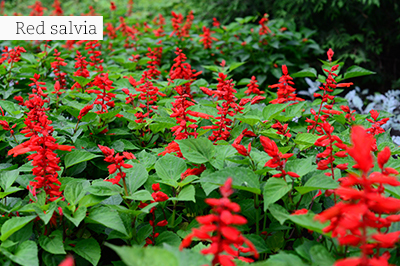 Remove all flower buds to ensure good quality foliage and do not allow them to set seed. Also plant some of the pretty perennial basil hybrids that should be allowed to flower, as their blooms are quite pretty. They combine well with other garden favourites like Gaura ‘Belezza’, ornamental grasses and perennial Salvias in a pretty meadow-like border. Use water retention granules in flower beds when planting young summer annuals such as salvias, portulacas, vincas and celosias. Water retentive products break the water resistant layer of certain soils, drawing the water deeper into plant’s root zones and keeping the soil moist for longer. Also treat all your container plants with water retention crystals – simply dig it in lightly around the existing plants, water well and finish off with a decorative mulch like bark nuggets. Tidy up old palm fronds, feed with a nitrogen-rich fertiliser and water deeply and regularly to keep them healthy and lush. In the veggie garden, keep on sowing beetroot, tomatoes, eggplants and peppers. Resow herbs that are fading or getting too old like basil, parsley and chives. Keep an eye out for whitefly, especially in the heat. For colour in the shade, try Plectranthus ‘Mona Lavender’ and swathes of the many colourful coleus varieties. Plant a variety of endemic and hardy indigenous plants suitable to your climate, as a lasting backbone which will take up most of the available space. Plant those that need more water, in smaller beds or in containers. In large gardens, plant huge swathes of drought-hardy groundcovers and spreading succulents like crassulas, Cotyledons, Vygies, Gazanias, Arctotis and Osteospermums. Include some groupings of grasses and restios like Elegia tectorum. Create more interest with hard landscaping elements like pathways, water elements, focal points and lots of pots to take up ground space. Bromeliads need to be frequently fertilised with liquid fertiliser. To combat mosquito larvae, flush out the stale water in their crowns with the hose. Tie new canes of climbing roses to their supports and make sure that other vulnerable plants like standard roses and young trees are also securely tied down to prevent damage during summer storms. Remove any briar growth and shorten water shoots on roses. Also deadhead spent blooms when the first flush is over. Mulches like bark nuggets, pine needles, peach pips and other organic material placed over the soil keeps plant roots cool and moist between waterings. Keep on replacing your mulching layers as they break down, and take care to keep it at least 15cm away from the stems of plants, to prevent rot in wet weather or fungus disease. Inorganic mulches work equally well and last longer. Examples are commercial weed matting, river pebbles, stones and gravel. Follow up spraying of fruit trees when the fruits are still small and green – this will stop damage by fruit flies. There is a wide variety of flower seedlings that can be planted now for a spectacular summer display to ensure that the garden is in full bloom during the festive season. 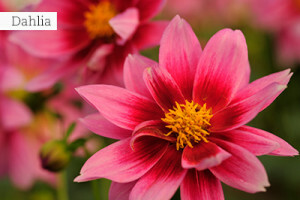 One way to go for it, is to add wide borders of pretty bedding Dahlias available in seedling trays. Feed and mulch all Cannas, Calatheas, and Heliconias and water regularly. In the veg patch continue with small sowings of all summer veggies. Control weed growth and harvest any ripe vegetables that may be damaged by constant wet weather. Watch for powdery mildew on the pumpkin family and put out bait for pumpkin fly. If potted plants are sagging, it could be a drainage problem. Lift them onto ‘pot feet’ or old bricks to ensure that drainage holes remain functional. Water plants that are under the roof overhang of buildings. Keep on planting summer-flowering bulbs like Dahlias, Eucomis, Gladiolus and Amaryllis. 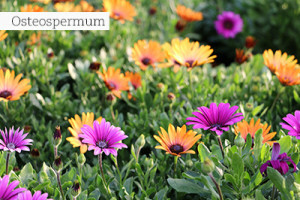 Make softwood cuttings of Arctotises and Osteospermums. Harvest seeds of Namaqualand daisies, Shirley poppies, Felicias and forget-me-nots. 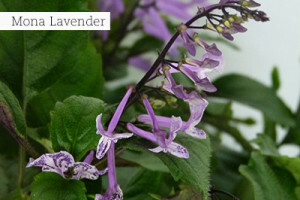 Plant rosemary, Lavenders, Santolinas and Westringias for summer-long pleasure. Fynbos like buchus, leucospermums, ericas and proteas can be pruned after flowering. Renew the mulch around them. Also prune confetti bushes quite hard. Wilting plants can be the cause of a blocked nozzle or a sprayer not reaching the soil when watering. Check the irrigation system often to prevent dry spots. Hydrangeas are the most popular plants here during November. They fare amazingly well, especially in coastal areas. Hydrangeas are easy to grow in a lightly shaded position, such as the Eastern or Southern side of the house where they will get morning sun and afternoon shade. They need ample water. If you have planted some brinjals in the veggie patch or into pots, add the following companion plants which will complement their taste when your harvest is ready and you start cooking with them: Oregano, marjoram, thyme, sweet basil and rosemary. Turn bigger areas of your garden over to permeable paving or gravel – it is still high fashion. But, to soften these ‘hard surfaces’ and to keep you cool, you need tough vegetation. 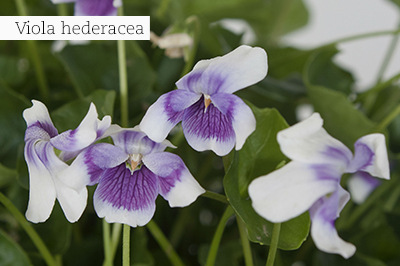 Low-growing groundcovers for shady areas which will grab any gap and can be kept a little dryer are: Glechoma hederacea ‘Variegata’, Viola odorata ‘The Czar’ (Sweet violet) and Viola hederacea (Australian violet). Dwarf mondo grass (Ophiopogon) can also be used, but are slower growing. For full sun, soften with Dymondia margaretae (Silver carpet), Convolvulus mauritanicus, and Erigeron karvinskianus (Fleabane). Thyme is also a good choice for lush covering between stepping stones or in gravel. If you have a sunny spot in the veg patch or just need to add some more groundcovers to a well-drained area in the other parts of the garden, consider some of the low-growing thymes like Thymus ‘Coccineus’, ‘Doone Valley’ thyme, Bressingham thyme (Thymus doerfleri) and green thyme (Thymus serpyllum). In the veggie garden stick to crops which need less watering in a low irrigation zone, like carrots, beetroot, Jerusalem artichoke, asparagus and rhubarb. Dig compost and bonemeal into the bare patches and sow seeds of quick-maturing summer flowers, such as Marigolds, Cosmos, Ageratums, Petunias and Portulacas. In the veggie garden watch out for red spider mite, as they attack fruit trees such as peach, plums, apples, as well as edibles such as cucumber, beans, tomatoes and strawberries. Continue sowing small, regular plantings of beans, sweet corn, baby marrow and patty pans. Sow one or two rows of carrots and beetroot and plant out seedlings of warm season lettuce varieties as well as parsley. Combine sculptural artichokes with their silvery foliage with bright yellow Sunflowers. Create some tall teepees for runner beans and ornamental calabashes, and plant colourful Spinach ‘Bright Light’ at their bases. Allow your dill, bronze fennel and leeks to set seed heads – they are very ornamental.